World Trade and Arbitration Materials meets this vital need of practitioners. It publishes the texts of all of the most important current documents relating to international trade not readily available elsewhere. arbitral awards and court decision. 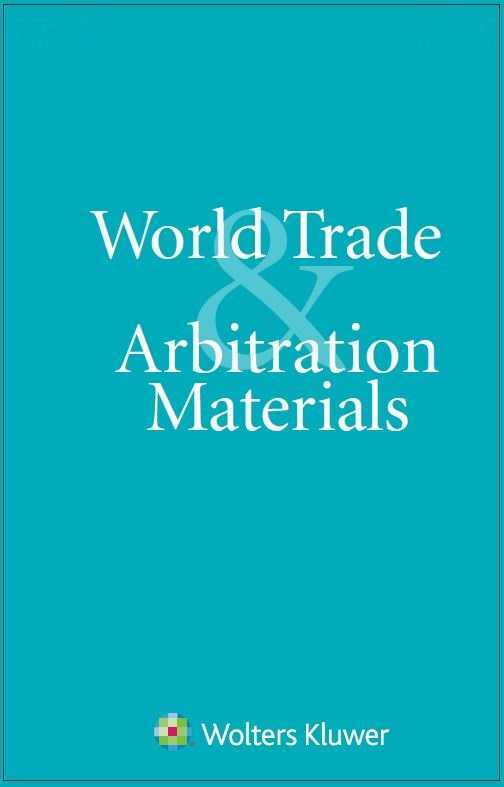 World Trade and Arbitration Materials also includes a selection of essential current documents relating to international arbitration as a means of settling international business disputes. It provides arbitral awards, news of adhesion to international conventions, court decisions, statutes, reports from official authorities, arbitration rules, and news of arbitration centres and associations. Its coverage and currency make World Trade and Arbitration Materials an indispensable tool for those working in the fields of arbitration and trade, especially those involved in research in these areas. It complements other Kluwer Law International information products in creating a complete set of resources dealing with arbitration and trade.